Jolla released a new update for its sailfish OS named after Oulanka national park situated in the northern part of Finland. 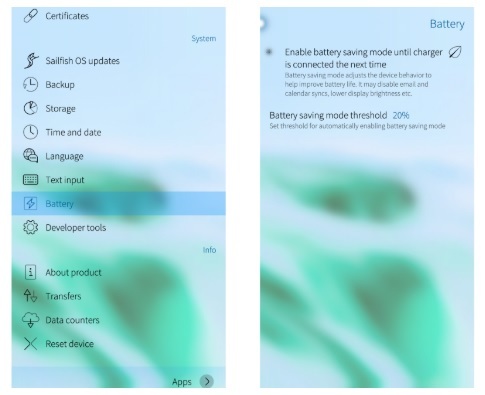 The official release number of the update is Sailfish OS 3.0.2, and it brings some new Sailfish OS features, and over 44 fixed issues reported in Together.Jolla.com. You’ll notice that Top Menu has a new switch for silencing ringtones and there’s a new battery saving mode that should extend the life of your phone. The email app now supports sending read receipts, and connectivity was improved in terms of firewall and global proxy. The update isn’t just bringing new features and bug fixes for the sailfish devices, but it is also beneficial for the Xperia XA2 devices where some important issues were fixed. Jolla is aware of numerous other bugs in the Sailfish X program, and it will deal with them in the coming updates. For more details about the Oulanka update check Jolla pages.